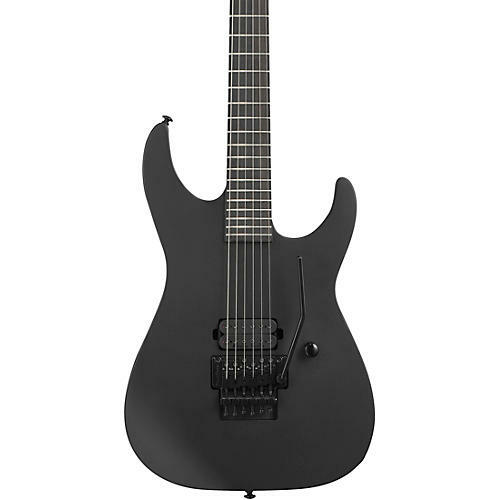 Dark and menacing, the LTD M-Black Metal is built to shred, with a fast, comfortable mahogany through-neck topped with a smooth Macassar ebony fretboard and a brutally powerful "Blackened" Black Winter Seymour Duncan humbucker lurking in the bridge position. The Floyd Rose 1000 tremolo bridge delivers all the whammy action you need to showcase your chops. Built to the same quality standards as the LTD Deluxe 1000 series, this is a guitar that over-delivers on features and playability.